AllamaMashriqi, a world-famous mathematician and Islamic scholar, was a humanist, reformer, and a revolutionary. Instead of following a more academic path, he chose to enter politics in British Indiato empowerand liberate the suffering masses. Mashriqiinfluenced millions of his followers and supporters and his admirers could be found around the world – from Asia to Europe to Africa and America. Mashriqi was not supportive of the prevailing form of democracy, as he felt that it represented the interests of the wealthy few, instead of the majority. Despite tremendous advancements in all realms since the rise of modern humanity, the various forms of Government have largely remained the same. Democratically elected individuals – who are supposed to be looking out for their constituents and uniting their respective nations and the world – instead often seek to divide people for their own political ends. Human suffering and poverty continue to persist in many parts of the world. And yet democracy in its current form is often portrayed as the best and only form of rule and all other structures of Government around the globe are often condemned. In his historic speech on November 19, 1863, President Abraham Lincoln referred to a “government of the people, by the people, for the people.” While these ideals are certainly admirable, the ground reality of the current state of democracy is that, in various parts of the world, it creates a deep divide between the rich and the poor; those who have the means to buy or influence votes ultimately gain power. Thus, even under supposedly democratic systems, the rich end up ruling the vast majority of people in the world. “The other object, besides the simplification of the machinery of government that will naturally result, isto level up the society in India as far as possible, so that no distinction may remain between the rich and the poor, or the high and the low…In order to remove the oppression of the rich over the poor there shall be three classes of constituencies, class I for the very poor class of a community, class II for the middle class and class III for the very rich class, and no voter from any class shall be elected by the vote of the inferior class” (The Constitution of Free India, 1946 A.C.). “[Translated from Urdu] Becausethe poor are the majority everywhere in the world, and the capitalists [wealthy]are fewer in numbers everywhere, the concept of having a capitalist ruling the Government in a democracy is unimaginable,provided that the wealthy and the poor have equal voting power. But the ground reality is contrary to this because the richman uses his wealth to purchase power and voting majority. It is this deception that prevails everywhere in Western democracy. Otherwise, in reality, every country should have 80-90% of members [in parliament] from poor communities and 10-20% of members from the wealthy. In this manner, Government by the poor is guaranteed and there will not even be the slightest danger of the rich ruling the Government. Keeping this in mind, the author [Mashriqi] suggests that in each country, constituencies of poor communities should be created completely separately from the wealthy class, so that there is no possibility of the rich contesting elections from poor communities. To further understand this matter, see the titleQuran-ul-Urz in the work entitledDah-ul-Baab(page 31 to 90)…where all of these issues have been addressed…” (Hareem-e-Ghaib, p. 302). 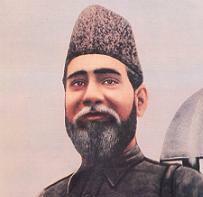 Mashriqi proposed various reforms (which could be adapted to the needs of individual countries) to ensure that politicians served the people, rather than their own personal agendas. Creating different constituencies to empower the poor majority in both developing and developed democracies was one such suggestion. In addition to Mashriqi’s ideas for reform, I also suggest exploring other areas, including the following: (1) providing an equal platform for the rich and the poor to contest elections, (2) allocating a fixed limit for how much candidates can spend on an election, (3) not allowing candidates to get foreign or domestic funding for his or her election, (4) not allowing partiesto be able to issue a ticket to more than one family member, (5) having minimum qualifications (if not already in place) for candidatesto contest an election, (6) banning candidates from using hate speech (for example, using slogans against any faith or country) to gain votes, and (7) requiring candidates to publish a detailed modus operandi to prevent them from making false promises to win elections. Throughout his career, Mashriqi championed the rights of the poor and worked against corrupt or selfish leaders who often misled and hijacked nations for their own benefit. Mashriqi’s ideas around providing equal opportunity and political representation to the poor are very relevant today. It is clear that democracy needs an overhaul; Mashriqi foresaw the weaknesses in the prevailing democratic systems and his pragmatic ideas (on this and many other subjects) need to be studied and applied to improve our world.